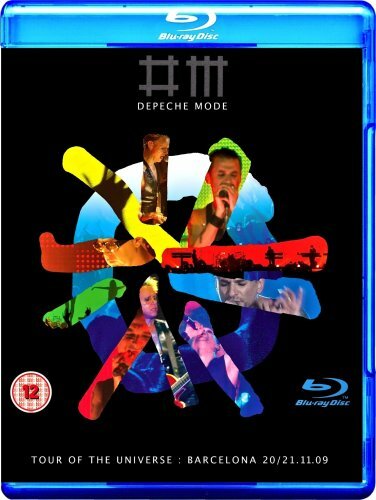 Description: Filmed on location at Palau Sant Jordi, Barcelona, in November of 2009, Depeche Mode: Tour of the Universe - Live in Barcelona looks terrific. Clarity is excellent and contrast levels great. The stage is not too big but there are giant screens and all sorts of different equipment on and around it that makes it look enormous. The camerawork is excellent - there are numerous close-ups of Dave, Martin, and occasionally Andy, as well as plenty of different 'looks' showing the crowd having a terrific time (there are some terrific shots during "Never Let Me Down Again"). The stage lighting is also fantastic. This being said, some extremely mild motion-judder occasionally creeps in, but the overall quality of the presentation is indeed excellent. Fans of Depeche Mode will be impressed!